Cheers mate gonna try get all the sound proofing off the floor next, does anyone know the best way of getting it off? Where in Sheff are you? Sweet do you go to the lowdown meet? Ok so went outside today in the snow.... Managed to remove the handles from the roof and then my hands nearly dropped off!! This weather needs to disappear! Golf Mk4 GTi Turbo, R32 front bumper, Lowered on ProSport Coilovers, Bora illuminated vents, Armrest, Heko wind deflectors, Aluminium vinyl trim. 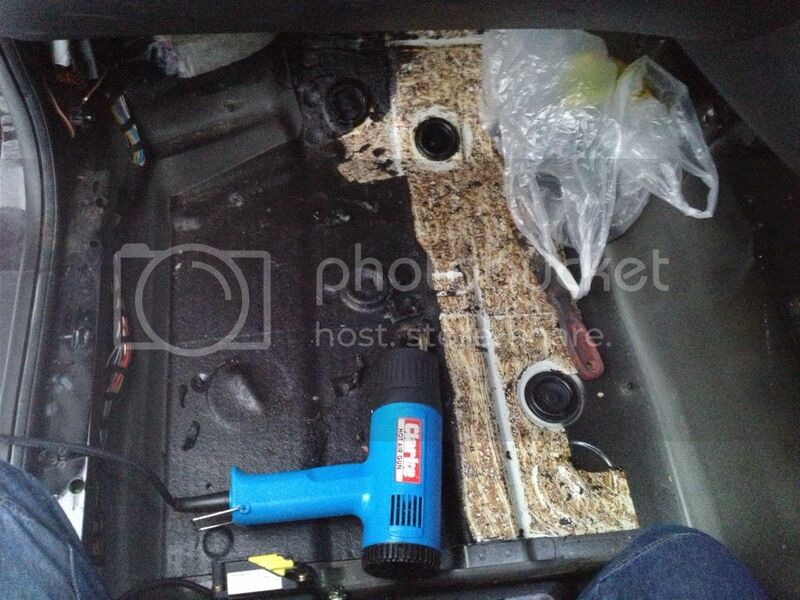 I used a blowtorch and a scraper to do the soundproofing in my Golf. That gets it hot and easy to remove. You can use it to warm up quite a large area of soundproofing pretty quickly, then get in there with the scraper and peel off a large area of sound-deadening. TBH unless the plastic panel on the boot is particularly heavy, I'd leave it in there. You might also like to get a sheet of Foamalux to cover in the rear panels. You can also use it to make doorcards if you decide to shed them, but that's probably going to result in quite a lot of effort with the electric windows etc! Hmm I dunno as I see it every bit of weight counts and as I don't really need the boot panel may leave it out for now. As I will be using the front door cards (windows etc as you said) I'm goin to leave them for now but thanks for the advice with the foamalux will keep it in mind! Had the car up recently and didn't notice anything wrong with wishbones etc and only replaced them about 12 months ago. Gonna have to jack it up and have a good look! Ok so had an hour on the golf! 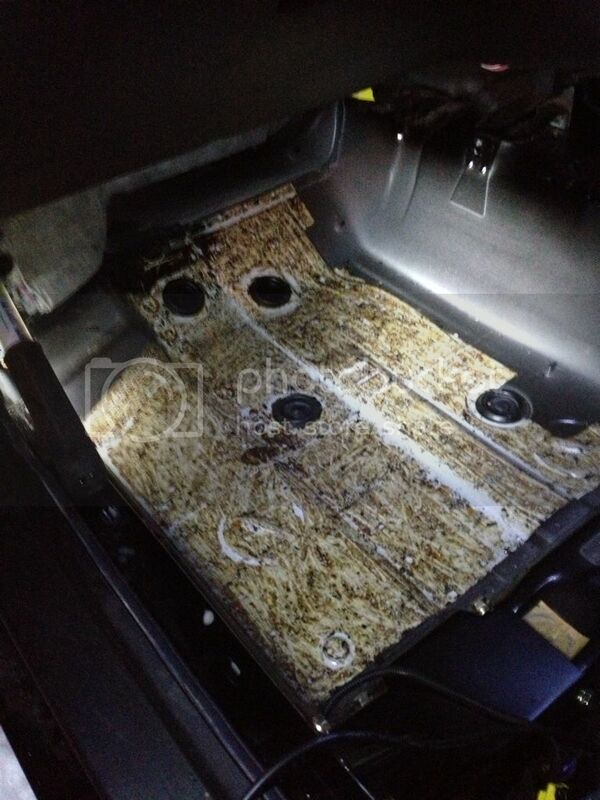 Just got the sound proofing material off the passenger footwell. 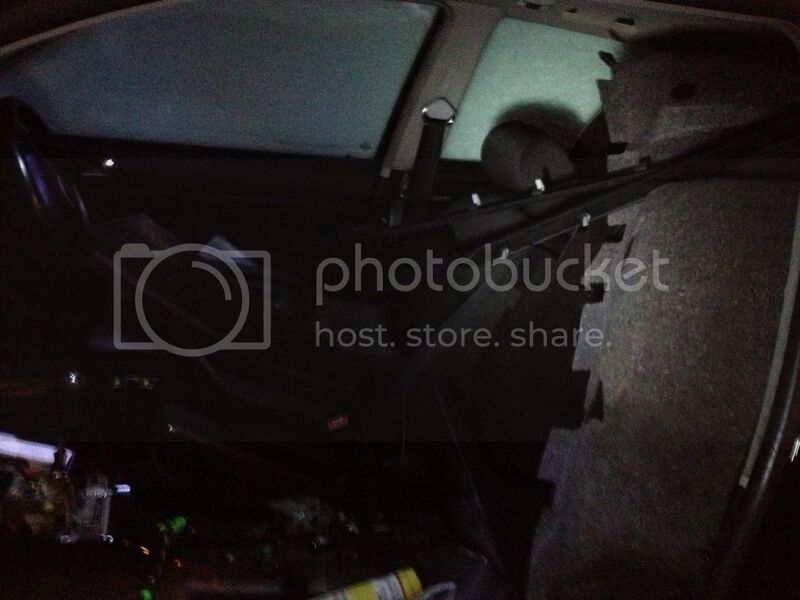 It's awkwards working in the car at the minute as all the removed interior is being stored in car bar 1 seat! And there is loads more to remove so I can see it as being a nice weight saver! I couldn't find anything wrong with the daily so I'm thinking it may e the diff but not sure. I have go a spare box in the garage so will have to see! Check your anti-roll-bar bushes - could just be those. 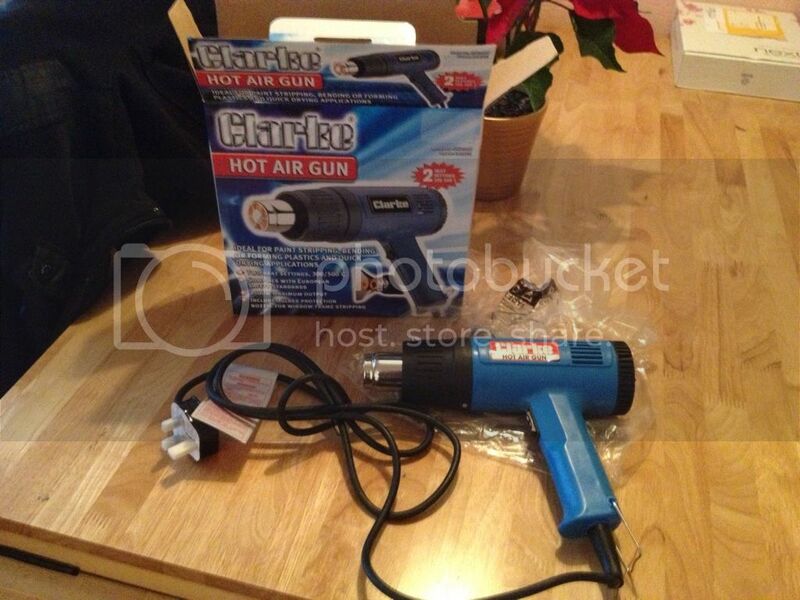 The blowtorch allows you to work fast because it's a concentrated heat. I don't think you'll have issues with your fuel pipes etc - just move the flame quickly across the sound deadening. Another thing worth remembering is that 1kg sprung weight = 7kg unsprung weight. Look at getting light wheels and whether a brake upgrade would net you lighter calipers. You might also look at relocating the battery (with a box over it) and the washer reservoir to the back of the car to aid weight distribution - you're taking all of the weight out of the back half of the car.